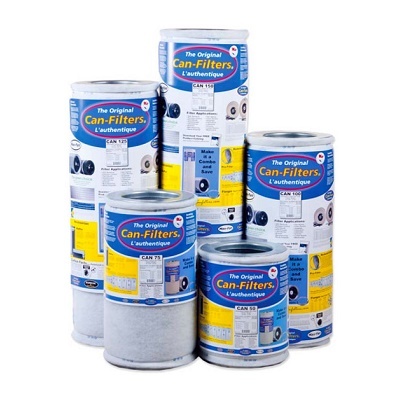 View cart “Can Filter 9000” has been added to your cart. Can-Filters provide one of nature's best odor control materials-activated carbon. This steam-activated carbon is selected as best for the job. Activated Carbon works like a sponge absorbing problem molecules until it reaches a saturation point. No messy refilling needed. Use a high quality Inline Centrifugal Fan (Can-Fan) to exhaust out of ventilated area. Can-Filters knows carbon, and brings that knowledge and experience to give you full odor removal in all of your hydroponic applications. All activated carbon is not created equal, and each type of application requires careful consideration to have a full 99.5% odor removal efficiency.